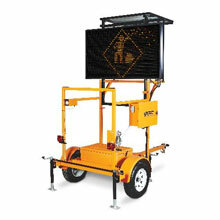 The NC-300 is a portable traffic analyser designed to provide highly accurate vehicle count, speed and classification data. The sensor is powered by an internal lithium-ion rechargeable battery and the unit is placed directly in the traffic lane. It can be installed and removed in minutes and provides detection data for up to 21 days before a recharge is required. The sensor combines accuracy and portability, monitoring traffic flow conditions right where you need them. Whether you are surveying traffic on a road, bridge, car parking/garage, construction area, or in and out of local points of interest, the NC-300 provides key data necessary for effective traffic analysis. The NC-300 utilises Vehicle Magnetic Imaging (VMI) technology to detect vehicle count, speed and classification. The data is easily exported to Highway Data Management (HDM) software, where it can be presented in the form of reports, charts and graphs.